and giving as much beauty as we can. We envision a planet where people and wounded places are reconciled through acceptance, compassion, and acts of beauty. A world where no part of the Earth is alienated from those who love it. In this way, we recognize that all of nature is part of the cycle of life. Our mission is to give people the opportunity to deeply connect with natural places that have been damaged through human or natural acts. Spending time in wounded places, we expose our hearts to difficult feelings of loss and guilt; listen to the land and to one another; and open ourselves to possibilities for finding and creating beauty there. We can’t wait to love the places we’re losing. Our bond with the place we love endures, even when the place is harmed. Love of place unites us and goes deeper than our differences. Places, like people, are whole and beautiful, no matter what has happened to them. Giving gifts of attention and wild acts of beauty to a place heals people and revitalizes place. Finding & making beauty in the present helps us not only survive, but thrive as we create the future. Trebbe began thinking about bringing attention and beauty to wounded places in 1987, when she interviewed Oneida engineer David Powless and he told her of his belief that the steel waste he had received a National Science Foundation Grant to recycle was but “an orphan from the circle of life.” Before founding Radical Joy for Hard Times she pursued this work by guiding a week-long retreat in a clear-cut old-growth forest on Vancouver Island, British Columbia; leading a ceremony at Ground Zero, New York two months after the September 11 attacks; and leading a workshop in a burned forest. Trebbe is the author of The World Is a Waiting Lover, 101 Ways to Make Guerrilla Beauty, and Radical Joy for Hard Times: Finding Meaning and Making Beauty in Earth’s Broken Places, and many articles about people’s emotional and spiritual relationship with nature. She lives with her husband, Andrew Gardner, in rural northeastern Pennsylvania, a region currently under exploitation by natural gas companies. Sue Barnum, MA, is a retired psychotherapist and psychodramatist who currently lives in Santa Fe, NM. She has been an active volunteer at Creativity for Peace camp each summer for 12 years and currently serves on their Board of Directors. 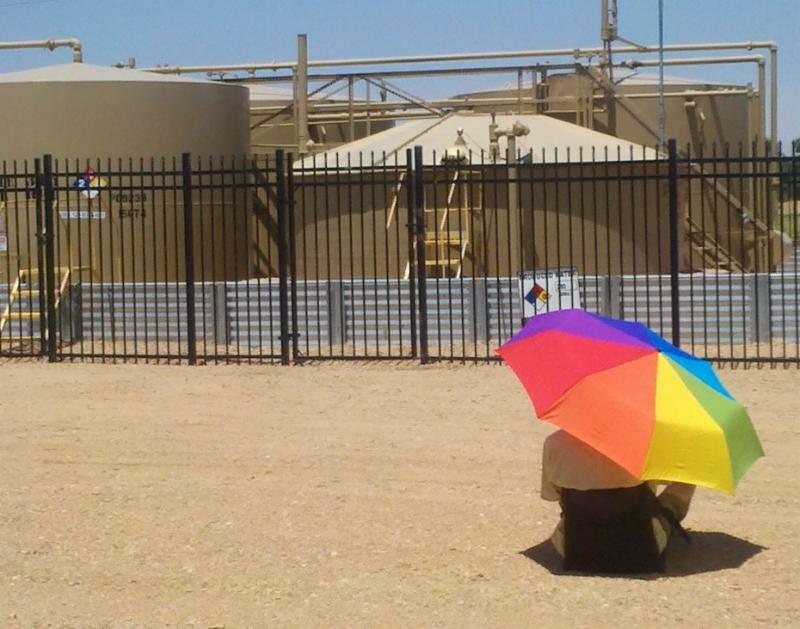 She has two children and five grandchildren, all of whom are activists in one form or another. The apple doesn’t fall far from the tree! She has advocated for the environment and for racial equality for most of her adult life. She has traveled extensively, and has friends around the world. 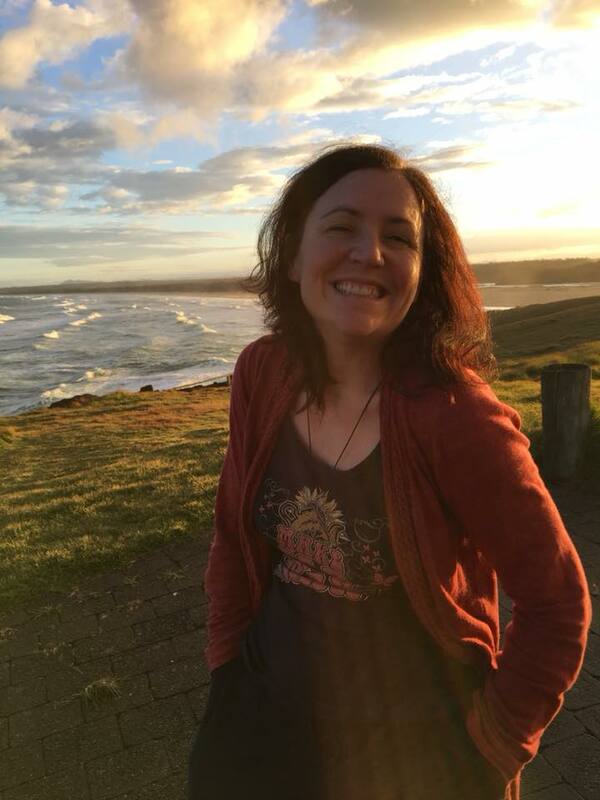 Liz Hanna (MA, MT-BC) is a singer, composer, music therapist, and writer specializing in interweaving creative and contemplative practices to facilitate relational wellbeing. 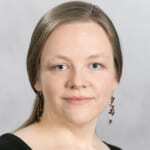 A graduate of Berklee College of Music (Music Therapy) and Yale Divinity School (Religion & Ecology), Liz integrates experience in performance, clinical work, sacred music, and contemplative ecology to explore how we receive and offer healing. With a particular focus on reconciliation, Liz’s work aims to help reawaken a more holistic sense not only of human interdependence with all life, but of the human capacity to participate in restorative relationship in a time of ecological degradation and deep uncertainty. Liz serves as the Spiritual Programs and Retreats Coordinator for Kairos Earth (Canterbury, NH), as well as the Executive Assistant for GoodLands and ARISE (New Haven, CT), and continues to sing professionally in the tri-state area. Lizabeth Kashinsky is passionate about protecting Hawaii’s rare and endangered plants and animals and has worked in the field of conservation in the Hawaiian Islands for over 20 years. She spent several months living and working in the remote Northwestern Hawaiian Islands, now Papahānaumokuākea Marine National Monument and a World Heritage Site. Inspired by her full immersion into nature and solitude there, she obtained a M.A. in Ecopsychology at Naropa University in 2012. In addition to her day job working for a program tasked with recovering endangered Hawaiian monk seals, she teaches yoga, leads nature based retreats and workshops, and facilitates The Work That Reconnects (WTR). She is a level I Purpose Guide and works with groups and individuals to restore connections to self, nature, and other. In addition to serving as a board member for Radical Joy for Hard Times, she serves on the board of Kure Atoll Conservancy, a 501c3 non-profit foundation dedicated to supporting habitat restoration and wildlife management programs at Kure Atoll in the Northwestern Hawaiian Archipelago, one of her favorite places on Earth. 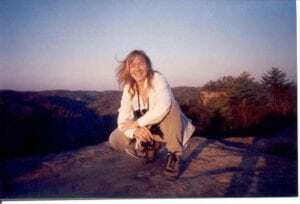 Sam Sycamore is a writer and ecologist from the Ohio River Valley of Kentuckiana. 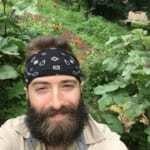 Through his podcast, The Good Life Revival, Sam documents the growing back-to-the-land movement of the twenty-first century, interviewing folks around the world who are pursuing a lifestyle aligned with the rhythms of nature. Sam currently lives off-grid among the redwoods outside Santa Cruz, CA, where he teaches the art and science of foraging for edible wild plants and fungi. When he’s not busy with work-related projects, Sam enjoys cooking, making music, and playing with his dog, Joshu. Radical Joy Earth Ambassadors is a council of volunteer-advisors from around the world who are dedicated to the principles and practices of Radical Joy for Hard Times and have been actively exploring ways to carry our message in their communities. is a master herbalist, nature educator, energy healer, and Avatar Master. She runs the Golden Light Center a place in the Missouri Ozarks where people come to learn skills for living in greater harmony with themselves, other people and nature. Tom deBree affirms radical joy wrested from hard seasons, fear-filled wounds, awe-full experience, relationships and a 35-year vocation in ministry. Pastor, “interim” specialist, chaplain to hospital trauma patients, hospice minister—they challenged and channeled inward and outward spiritual work. He brings gifts and skills for processing deep change for individuals or systems and compass vision for a soulful and sustainable earth future. is the founder and guide for mad4life Adventures in South Africa. She takes people on journeys into the wilderness, mainly in the world famous Mfolozi Game Reserve. 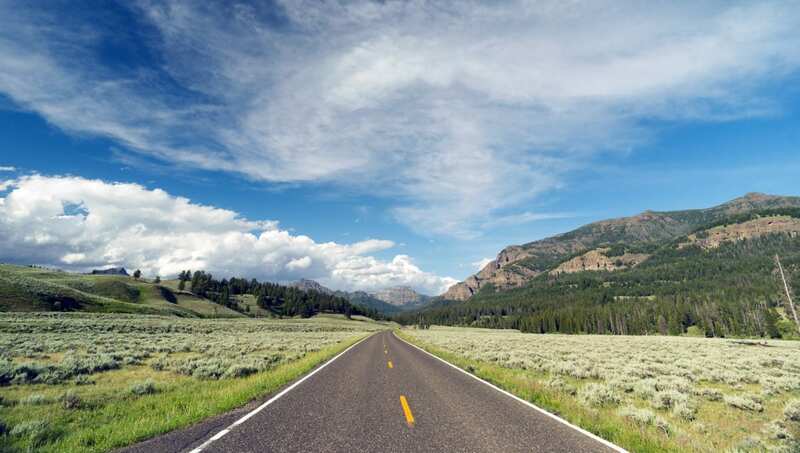 These journeys provide the time and the space for a deep, life changing connection. 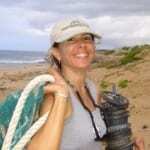 is a conservationist, ecopsychologist, yoga/meditation instructor, and Purpose Guide, who lives in Hawaii. served the Ohio Valley Environmental Coalition (OVEC) based in Huntington, West Virginia, beginning in 1992 as a Project Coordinator and retired as its Executive Director in 2016. 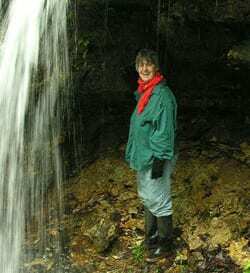 Janet co-founded The Alliance for Appalachia (2007), a regional coalition working to end destructive coal mining practices and to create a just, sustainable Central Appalachia. She co-organized the first U.S. Central Appalachian Women’s Tribunal on Climate Justice held in Charleston, WV, (2012), presenting its findings at the Rio+20 UN Conference on Sustainability. 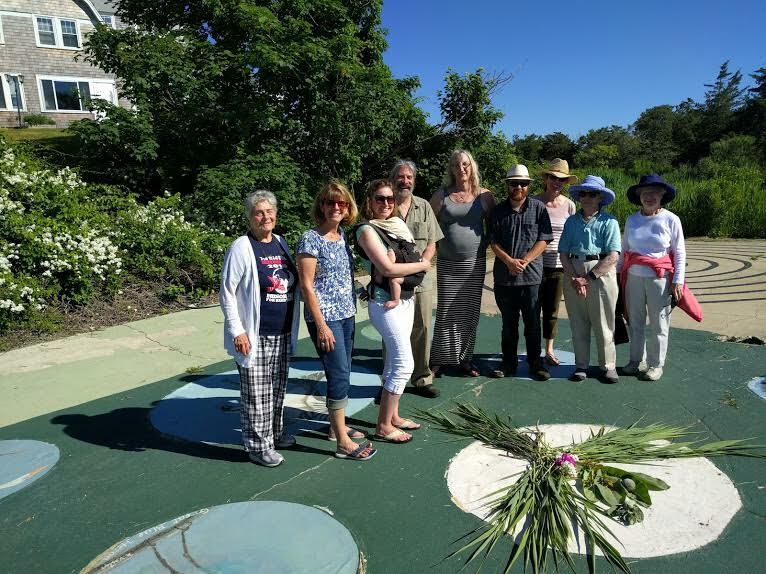 lives in Cape Cod, where he has been an active member for many years of Red Lily Pond Project Association. 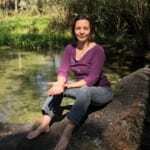 is an Earth advocate, naturalist and nature guide in Central Florida. 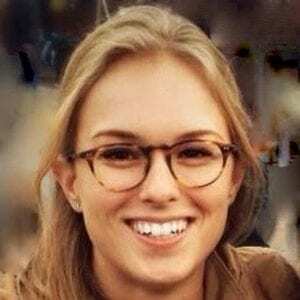 She is passionate to connect her community with the natural beauty of Florida’s rare ecosystems through reflective nature walks and planting native gardens. 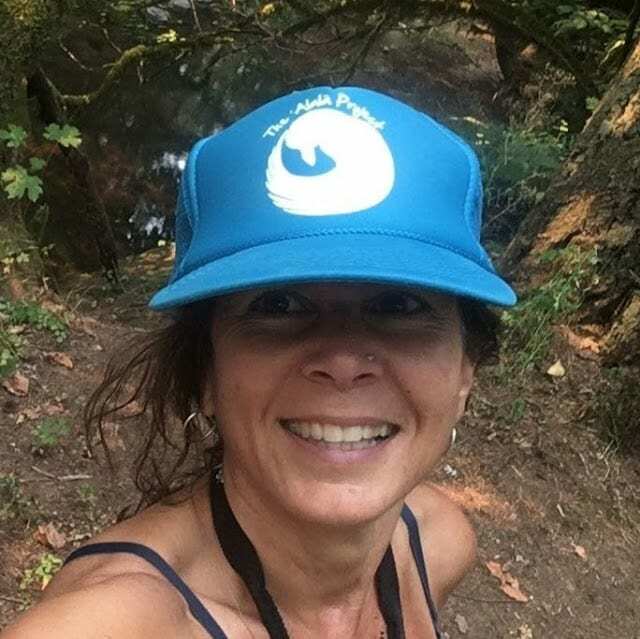 Jess guides with the heart and invites others to listen to their intuition and feel their connection with the Earth, themselves and each other. She practices Earth exchanges and water blessing ceremonies at home and while traveling. As a former banker and co-owner of a specialty metals company, Joanne’s past complicity in the Industrial Growth Society is a powerful motivator for her present day Earth work. 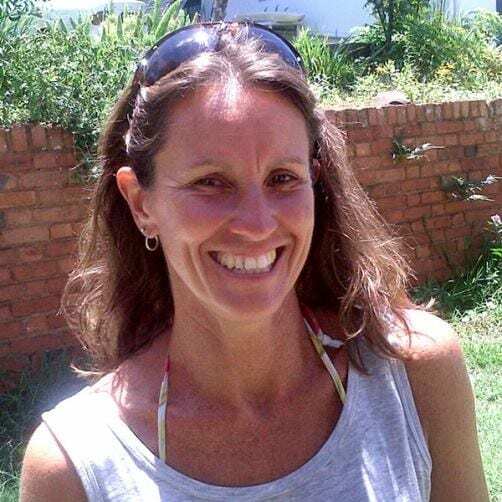 She is a Principal with East Vision Partners, dedicated to helping individuals and communities discover their ecological identities in service of creating a life-sustaining society. HARRIET LOCK SAMS has worked as an archaeologist and landscape connections facilitator for years. She also has a background in adult education, especially in educating people about the prehistoric landscape of the north of England. 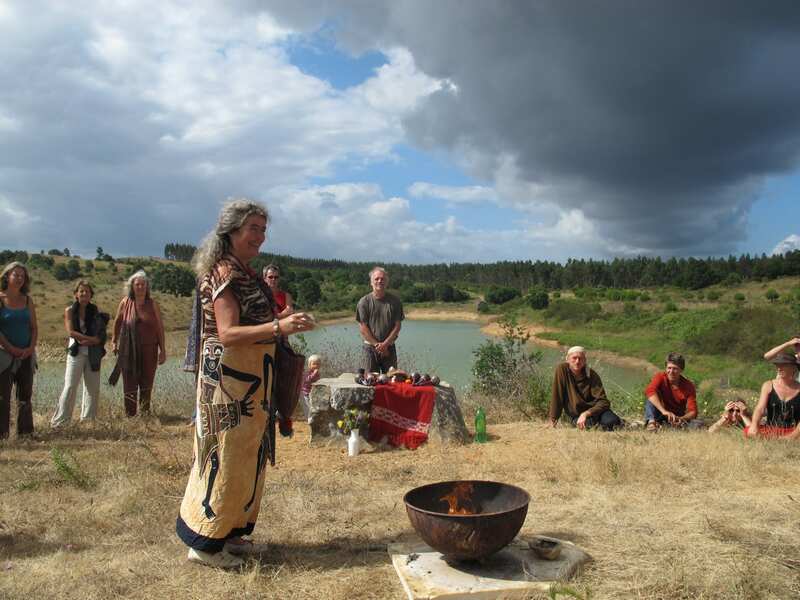 Harriet has facilitated Global Earth Exchanges in places as diverse as Neolithic stone circles and fracking sites, connecting participants to the Earth beneath them through meditation, music and drums. 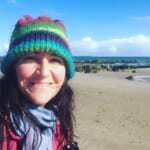 Harriet is a passionate advocate of rewilding children through connecting them to our land and ancestors through archaeology and ecotherapy. 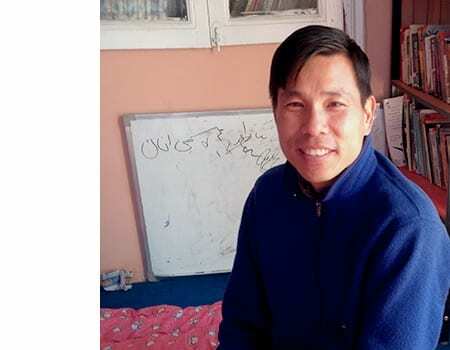 HAKIM YOUNG In 2004, Dr. Wee Teck Young, known now as Hakim, a Singaporean physician, left his medical practice and moved to Kabul, where he has been offering humanitarian and social assistance to those most affected by the war in Afghanistan. He is a mentor to the Afghan Peace Volunteers, a group of multi-ethnic Afghans dedicated to building nonviolent alternatives to war. Gillian helps catalyze shifts of consciousness through digital marketing. Her work is gratefully in service of care for our selves, each other, and our shared planet. Both a listener at heart and results-motivated, Gillian translates her clients’ powerful intentions into impactful action. She reaches key audiences through digital platforms such as websites, email marketing, and social media. Gillian is tuned into digital trends and youthful audiences. She amplifies change through communication strategy, digital marketing, graphic design, and copywriting. Making a RadJoy Bird out of found materials—twigs, stones, leaves, sand, even trash—is the gift that many people offer to the hurt places they visit. Here’s how the bird came to be our symbol. Three days into the very first Radical Joy for Hard Times board meeting in 2009, one of our members suggested that we stop talking and instead try to arrive at our shared vision by making art together. We stuck several large sheets of paper together, then we all worked in silence, each person moving around the paper, drawing, pasting, writing, embellishing. When we finished, we carried the painting outside to a little park across the street. At first no one could make any sense of it. Then Noah Crowe stood on top of a picnic table and exclaimed, “It’s a bird!” Instantly we all saw it: a crazy bird facing all the dark stuff of wounded places and striding into it, singing. 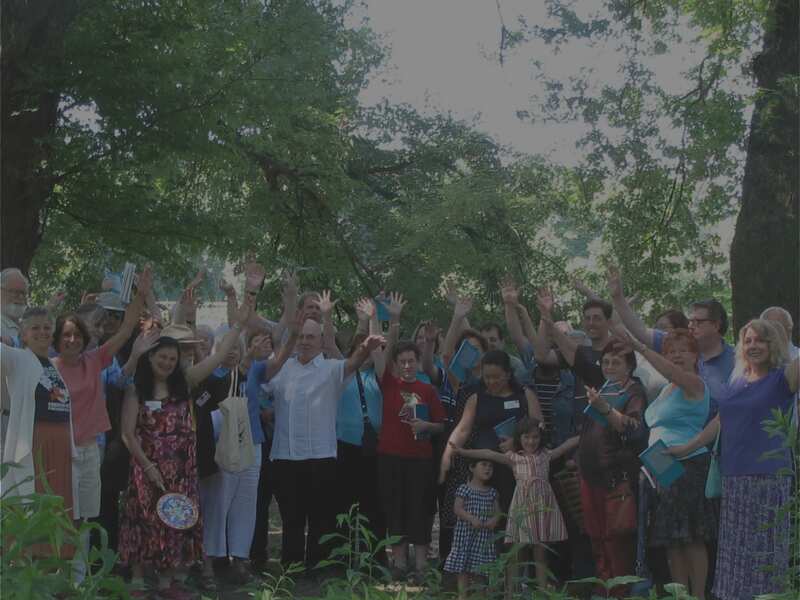 Every time people make the RadJoy Bird for a damaged place, they bring a spirit of joy, boldness, and transcendence both to themselves and to their place.